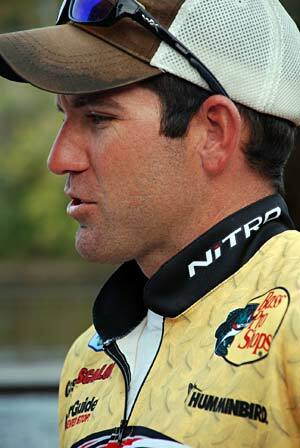 Casey Scanlon of Lenexa, Kan., has been offered a berth in the 2012 Bassmaster Elite Series. Scanlon, 27, was No. 6 in points when the 2011 Bass Pro Shops Bassmaster Central Open tour concluded Oct. 22. Since that day, of the five who qualified that day to step up to the Elite Series, Texas’ Tommy Martin has declined, and a spot opened up for Scanlon. The 27-year-old said he intends to accept. Competing since he was a teen — at age 15 he entered and won his first club tournament — Scanlon said the opportunity comes at the right time in his fishing career. He said he has a few deals for the 2012 season in the works, including a boat wrap. Co-owner of a lawn and landscape business, he and his business partner are figuring out how he can keep the company going when Scanlon’s on the road competing. Meanwhile, he’s studying the Elite schedule. But he is planning a few scouting trips. Florida, new fishing territory for him, will likely be his first stop. He’s also looking at where and when to capitalize on his strengths, which he lists as shallow-water power fishing and flipping. “I like to find patterns and run them as fast as I can, covering new water each day,” he added.